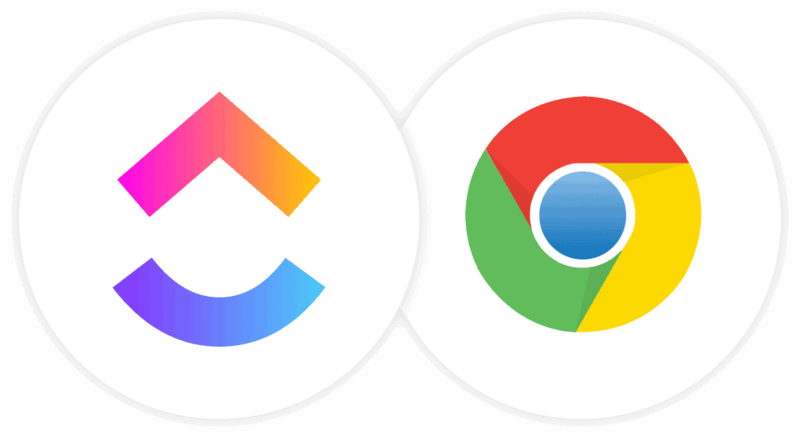 The ClickUp Chrome Extension brings three of the most disconnected features of project management into one incredible app. 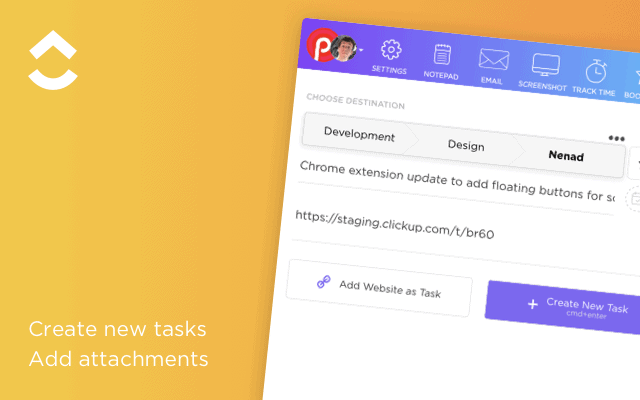 Change the way you create tasks in ClickUp, forever. pro tip Use default Lists to instantly create tasks without having to select a location. 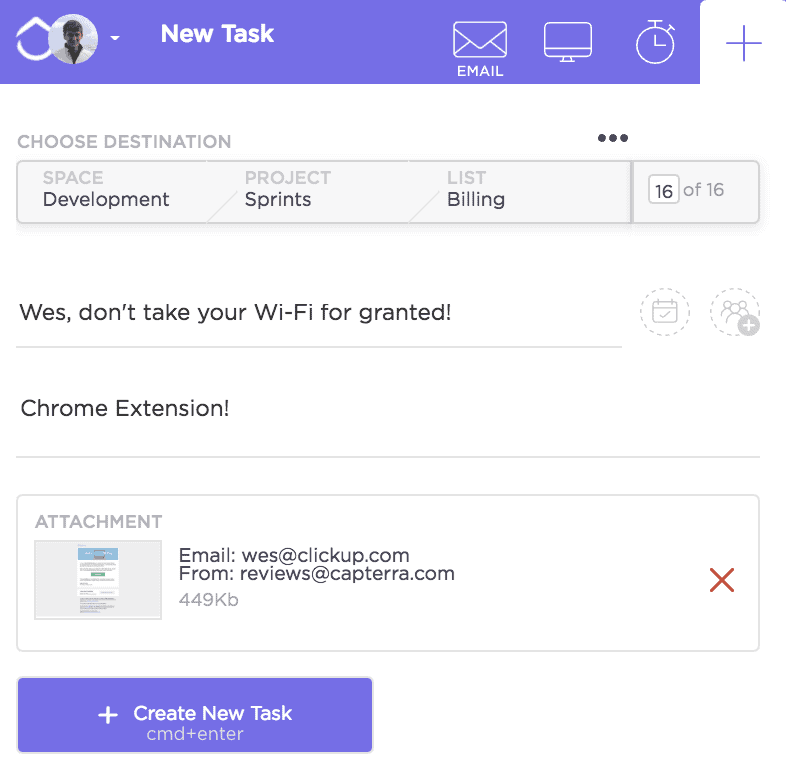 Add the website to the task description with one click. Then, attach a webpage screenshot to the task. ClickUp’s Chrome Extension records your time so you can focus on what you’re doing. What’s even better? It’s 100% FREE. 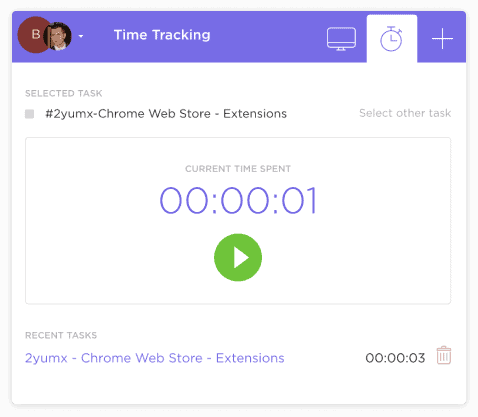 ClickUp’s Extension offers Native Time Tracking so you can be sure exactly how long you and others are spending on certain tasks. This means no more guessing who worked for how long. Capture a website and post it into a task. Select the whole browser tab or select exactly what you want. 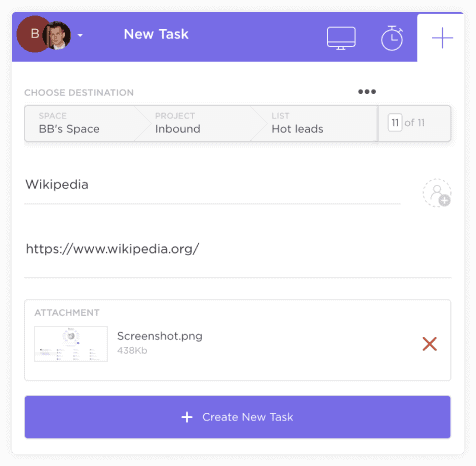 Quickly create a new task or attach the screenshot to a task in the works. 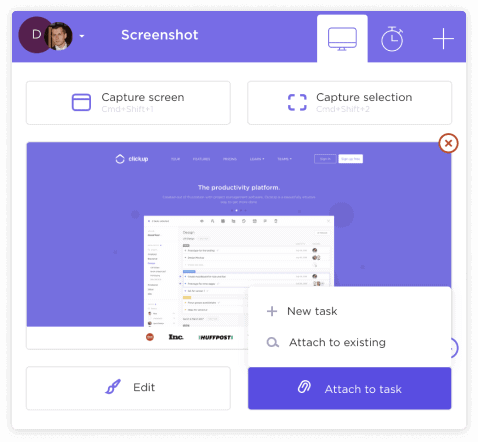 Easily communicate what you want to your team by drawing or writing right on the screenshot with tons of editing tools. Click the Add To ClickUp button in your email to generate a full HTML record of the email. This works for any email in Gmail and Outlook. 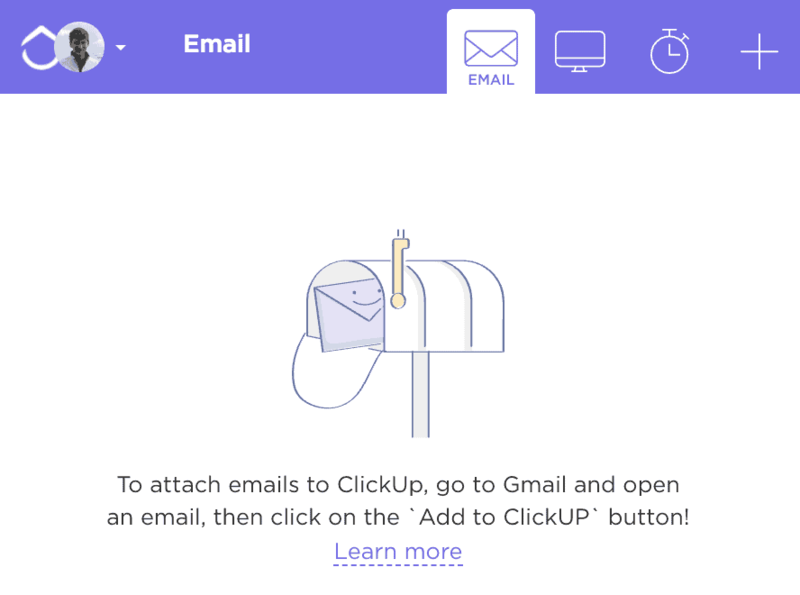 ClickUp will attach the email to a task or create a brand new on with the email attachment included so you can quickly view, jump back or download the email! Sits in the bottom of your Chrome browser for super easy access. Can be hidden on any site you choose. Provides unlimited notes, completely for free.